For some it is unplanned, unexpected, a sweet surprise. For others it was a struggle. It was months maybe years of tears, tracking and trying. But all it takes is an instant. And your life as you know it is forever changed. At all of life's momentous moments, we hire someone to document. We get engaged, we want someone to capture our love. We get married, we want pictures of the day. We get pregnant, we want our belly bump on photo. We have a family, our baby turns one, anniversaries, parties, life... But in all this, one of the most miraculous things on earth is often over looked. Birth. The second your baby enters this world is a moment never forgotten. Their little arms reaching for the person that carried them for the past nine months, the first time a mother sees and holds her child, or when a father sees his new family together for the first time. The hours of labor, the coaching and support that got you through. The painful and yet powerful journey with every emotion mixed in between. 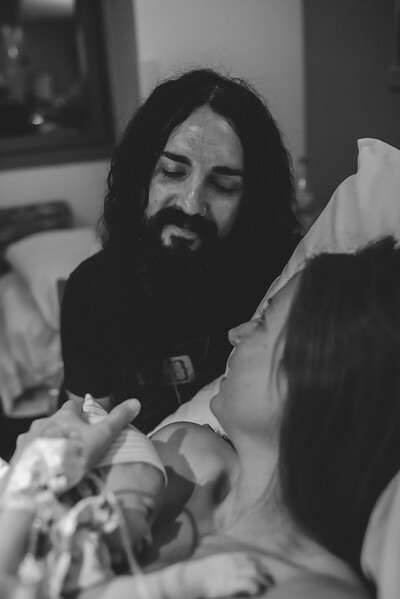 Everything leading to that one single moment you have been waiting for, hearing your baby take its first breath. This is the day often over looked in life when choosing a photographer. Birth photography is beautiful, tasteful and even artistic. Is it for you? Please read the FAQs section and take a look around. If you decide to document the day you give birth, let's meet.